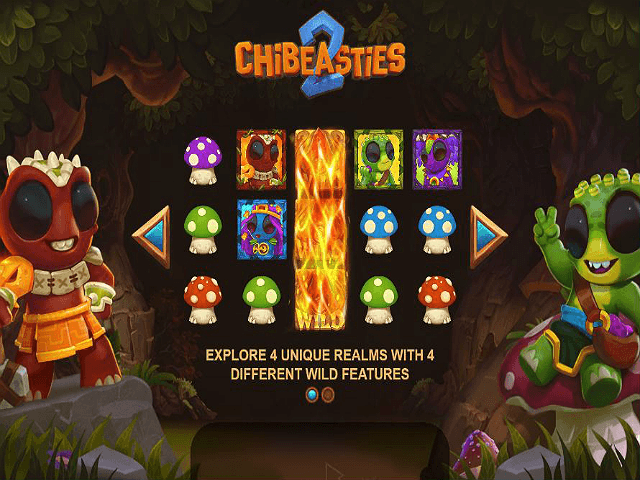 The Chibeasties 2 slot game welcomes you back to the weird and wonderful world of these cute little critters. Featuring multiple worlds, the sequel will transport you between realms in search of magical crystals. 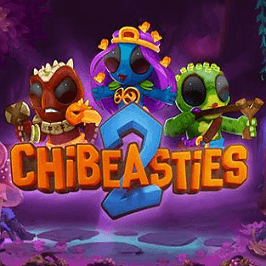 Chibeasties 2 software provider Yggdrasil has sought to build upon the original game, while retaining the charm that made the first an immersive yet chilled gaming experience. What's more, the Chibeasties 2 slot game boasts a 5-reel, 20-payline structure. 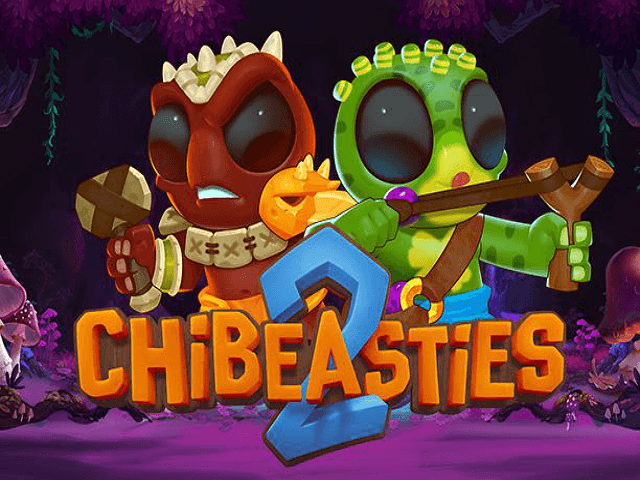 Check out our Chibeasties 2 review to see how the sequel stacks up to the original slot! 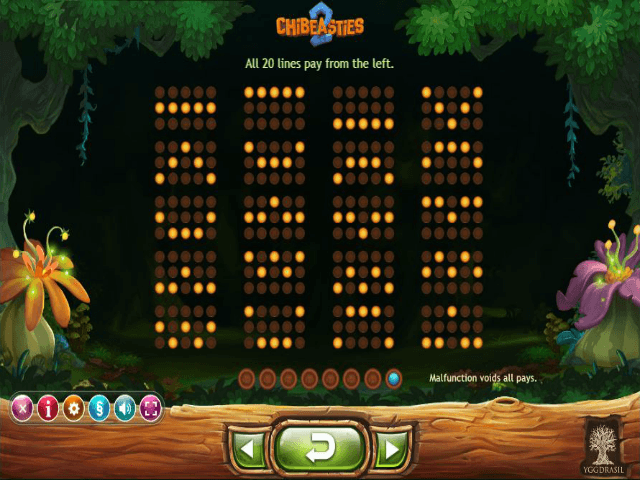 The Chibeasties 2 online slot retains the secluded forest setting of the original game, but adds a little more depth to the story and game play. An opening cinematic rendered in gorgeous 3D graphics shows a critter using a magic crystal on an ancient pedestal, allowing him to jump between dimensions. This gives software provider Yggdrasil a jumping off point for one of the game’s biggest devices. While the layout of the Chibeasties 2’s reels remain the same regardless of which realm you visit, expect to experience a spectrum of lush landscapes when you jump dimension. There are also four distinct orchestral tracks in Chibeasties 2, one for each realm. These seamlessly link together whenever you swap worlds. While increasing the styles of game play, Yggdrasil has managed to retain the original game's hearty return-to-player (RTP) rate of 96.2%. One of the main differences to it's predecessor lies in the players ability to travel between realms at any time, simply by hitting the button above the spin icon. It's also worth noting that wild symbols behave differently in these realms, too. In the red realm, wilds expand to cover the entire reel. In the blue realm they spread, creating between 1 and 4 extra random wild symbols. 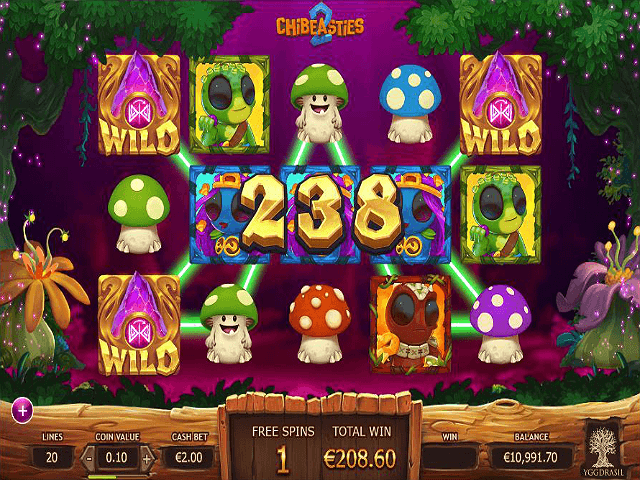 The green realm will see the wild symbol teleport around the reels to offer you the biggest possible winning paylines, while the purple realm sees the wild mirrored to opposite positions on the board. Chibeasties 2 has done away with the fauna symbols of the original game, replacing them with coloured mushrooms. These score from green, blue, purple, and red, which is the highest. This ties into the hierarchy of the Chibeasties icons themselves: yellow and green being the lowest paying, and red the highest. Landing five of these will net you 250 times the original bet, which is significantly lower than the Chibeasties of the first game. The free spins symbol has been re-worked, too, with five of these masked icons offering 30 free spins. A word to the wise: you cannot swap realms in free spins mode, so work out which realm offers the best for expanding and combo wilds. This reduction in the individual payline scores and free spins is balanced out by wild symbols, which you have increased control over. What's more, once the wild has performed its special attribute, it can randomly mutate into a Combo Wild. The Combo Wilds are also tied to the colours of the realms and the Chibeasties themselves. If you are playing in the blue realm, your wild symbol is blue, but if it combines with the different coloured mushrooms or Chibeasties, it takes on the attribute of the other realm as well. The Combo Wild is random during normal play, but during the Free Spins bonus round, all Wilds mutate into Combo Wilds. If you like Chibeasties 2 - You'll like these slots too!